The Ways of the Wayments: Happy Nurse's Week! To all my fellow nurse friends!! 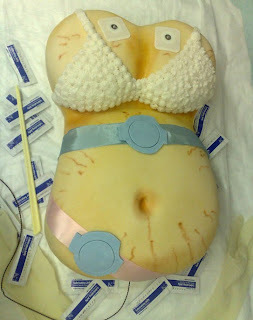 Especially my postpartum nurse friends :) -- here is a cake (yes, it really is a cake) that you will enjoy. k that is hillarious! So funny! I can't believe how big Grayson is. Hope all is well. Just showed Grams your blog, she loves seeing grayson with the animals. She kept saying how he likes dogs.